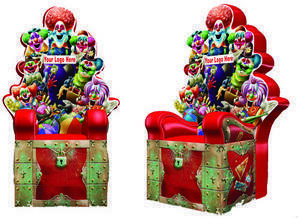 An inflatable Clown Throne! $99 if rented with a Jumper. Great photo opportunity, goes great with you circus theme event.